Happy Fathers Day. Normally, I’m not a big fan of Hallmark holidays, but this is Jon’s first Fathers Day. And what a ride it’s been. So, HAPPY FATHERS DAY JON!!! I’ve always known Jon would make a phenomenal father. Ne’er an animal or child have I met that hasn’t instantly been taken with Jon. It’s pretty amazing to think how crazy the journey to fatherhood has been – and we’ve only had the muppets in our world for three weeks. At the very start of this muppet caper Jon brought home an adorable little black dress for me. It was my first piece of maternity wear. “You can wear it to your shower,” he stated proudly. I’ve gotten to wear it once. 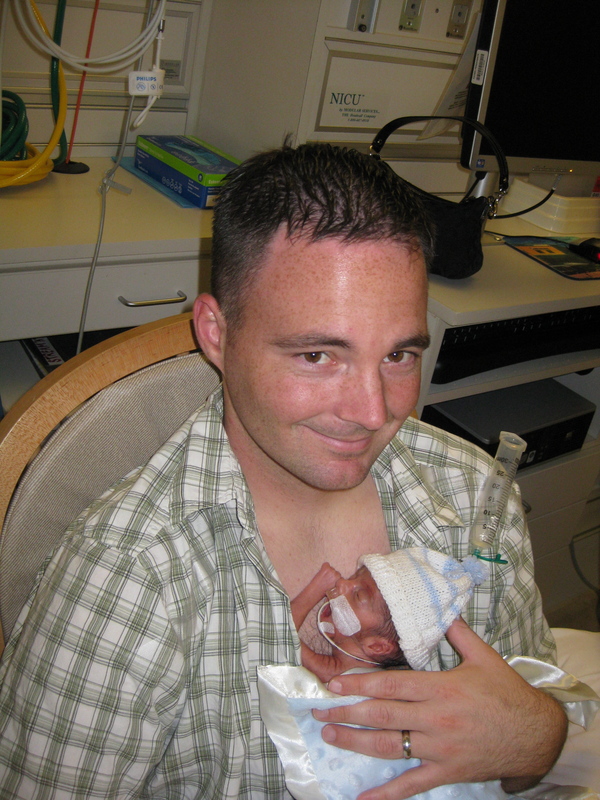 Jon sat next to me at the doctor’s office, mouth agape, when we first heard the babies heart beats. He sat stoically as we realized they were plural – a pair of babies. During the first trimester, he tried to cook non-arf inducing foods. He never complained as he took away a dish on Friday that I’d loved on Tuesday. He stayed in on his 30th birthday because even the thought of a restaurant made me arf a little bit. Jon was with me at 16 weeks when we learned we were having two boys. He took that afternoon and discovered the names for our boys. 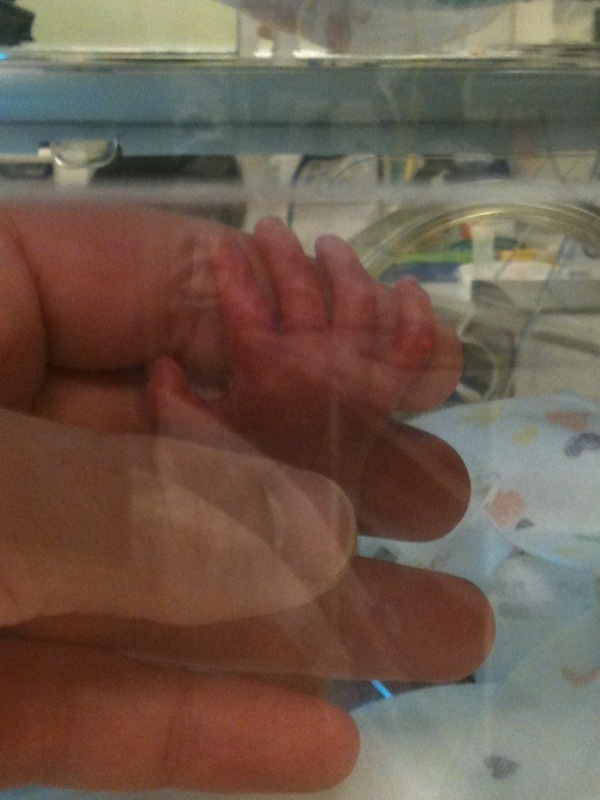 He made it to the hospital in five minutes flat at 22 weeks when I was admitted to Labor & Delivery. He sat with me as the doctor refused to give us good news. He shuttled back and forth from home to the hospital during the next six weeks – spending mornings and afternoons with me and taking care of our home during the evenings. Jon sat awake all night on May 27 in an uncomfortable chair. He apologized to the nurses when I had a mild tantrum over the accessibility of water. He was by my side while I informed him that I did not like the contractions at all. He was the first to post on Facebook that we were about to meet the muppets when the doctors started prepping the OR. He was the first to meet them after the whirlwind surgery circus. And he wheeled me over to meet them the next day. To all those first time Fathers Day fathers – may your kiddos bring you all the joy in the world (and a decreasing level of stress as they grow). 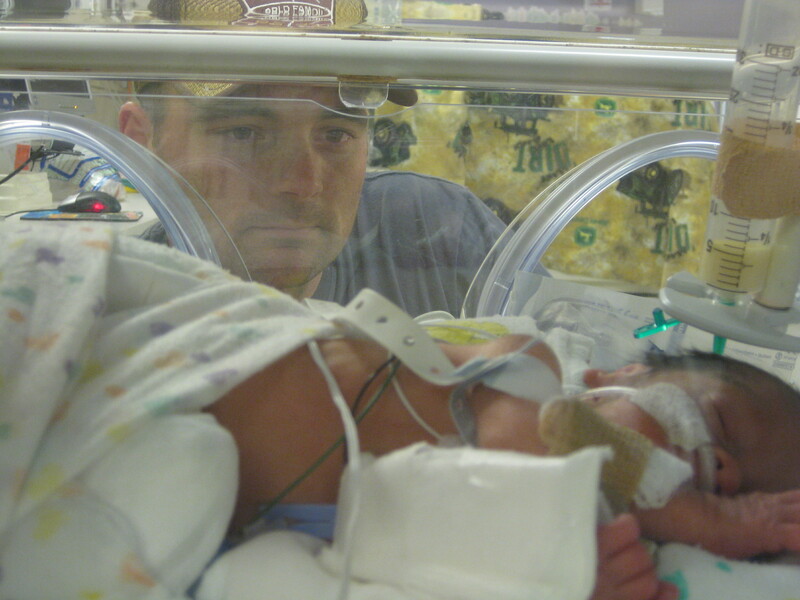 All our fellow NICU parents – whoever you are we’re with you in hoping your babes grow up big and strong. And these are just the little ones I know about. 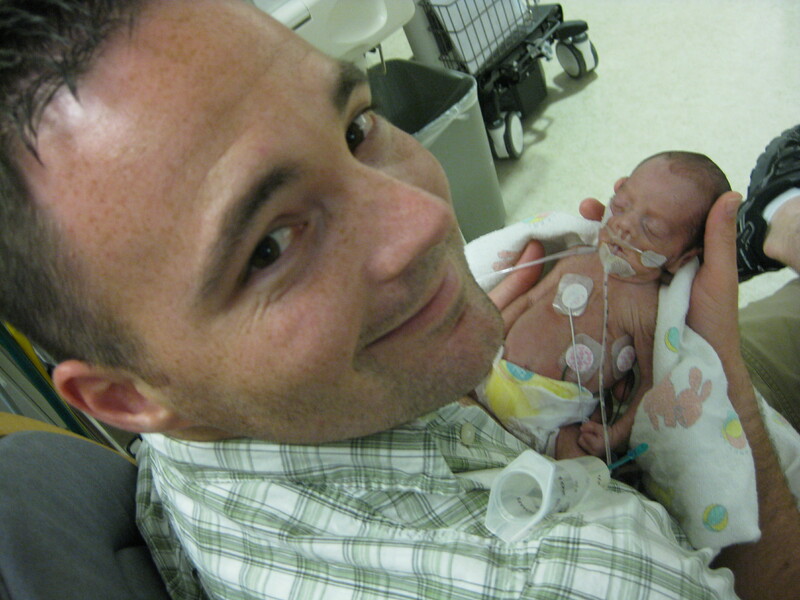 To Grandpa Gary – for giving me the father of my children. To Grandpa Gustavo – for decorating the house in pink streamers and blasting “Thank Heavens for Little Girls” when I was born, for putting up with me during my teenage years, for lasting no more than 15 seconds before bursting into tears when I call to tell you about your grandsons. To Jon – here’s to our family. You were born to play this game. Ok, second day in a row to bring tears! And I don’t do that very often. A beautiful love letter to all the men in your life! Bravo! Well written and well deserved. May Jon have many Happy Father’s Days filled with fingerprinted homemade cards and unexplainable drawings! I’m sorry to say I’ve only met Jon once — at your wedding. But despite that, I’ve known since the day you first mentioned him (with a great deal of enthusiasm, I might add) that you’d found the perfect man to help you raise your family. So I’ll raise a glass (see what I did there?) to Jon. Welcome to the Fathers’ Club, my good man. Damn you and your tears inducing writing. 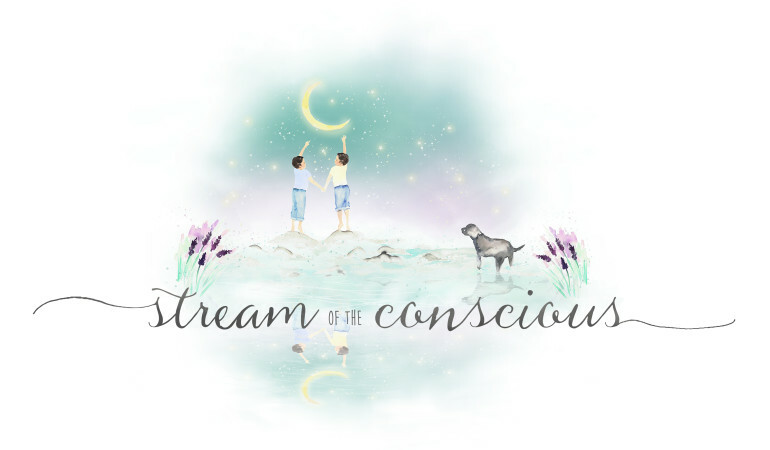 Another Stream experience expressed so beautifully – certainly sentiments to be saved and treasured. G.G.